There is one engine option on the Prestige 680 and that is IPS1200, which uses a pair of Volvo Penta’s D13 900hp motors. These are relatively small engines for a boat of this size (and weight of 29.3 tonnes light) and that shows in the top speed of 27.5 knots that we managed on test, although Prestige says the boat was hitting 29 knots in their own testing. Even so, for some the prospect of not being able to cruise at 30 knots will steer them towards the competition but during our two-day shakedown in the Adriatic the cruising speed of 22-24 knots felt ideal, especially as the 680’s sound readings are very low. 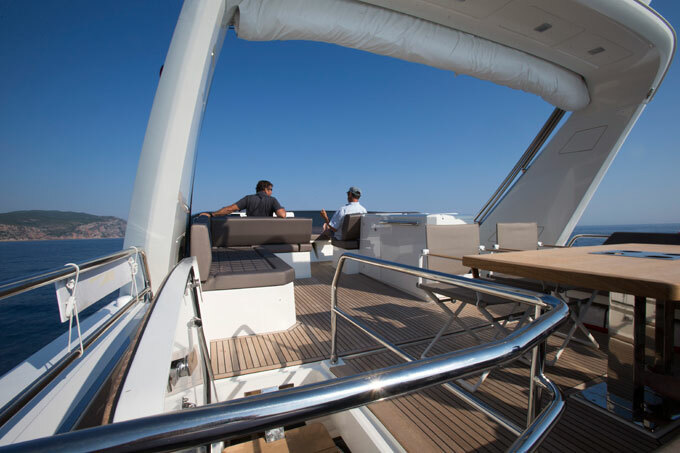 That being said we never found any proper sea to put the J&J Design hull through its paces, though refined cruising nature of the 680 during our sea trial can not be faulted. That is just a taste of a boat that has a huge amount going for it and you can read the full feature in the October 2015 issue of MBY. The value for money that Prestige is known for is still in place on the 680 but the boat has far more strings to its bow than that. 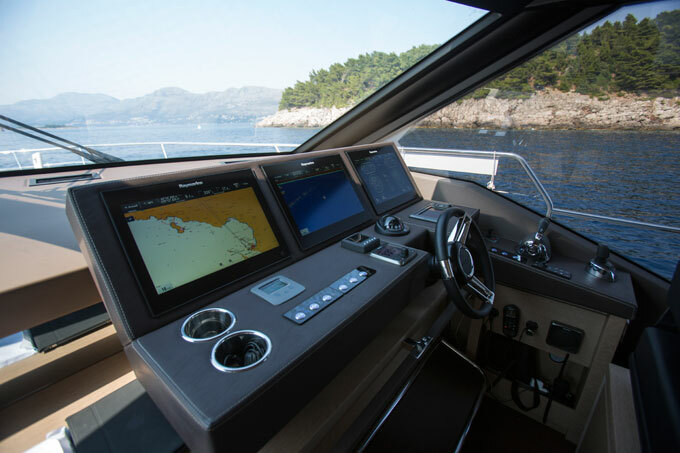 There is real invention in the design and execution and as long as you are happy with the cruising performance the Prestige 680 is an incredibly well-rounded prospect.